PESHAWAR: Security forces conducted Intelligence Based Operations (IBOs) as part of the ongoing operation Radd ul Fasaad in various areas of Khyber Pakhtunkhwa including Charsadda, Kurram and South Waziristan Agency on Thursday night. A huge quantity of arms and ammunition including Improvised Explosive Devices (IEDs), submachine guns, RPG 7, suicide jackets, and a large quantity of various calibre ammunition were recovered. Earlier today, an IED planted in Shekhan Shakartangi area of Central Orakzai agency was defused by security officials. 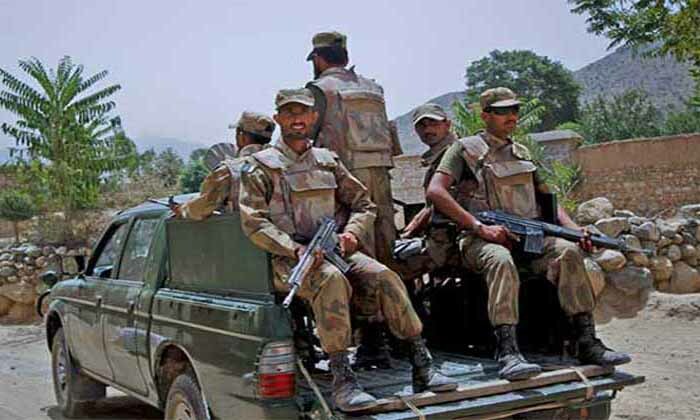 According to officials of security forces, the explosive device was planted on the edge of the main road in Shekhan area of the Orakzai Agency. The bomb was timely detected and defused. No loss of life and property has been reported in the incident.